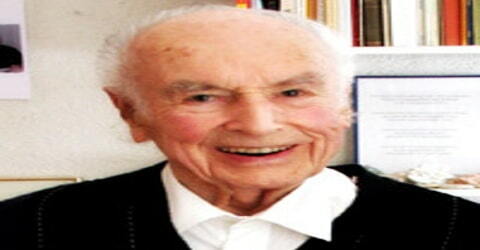 Albert Hofmann – Swiss scientist. 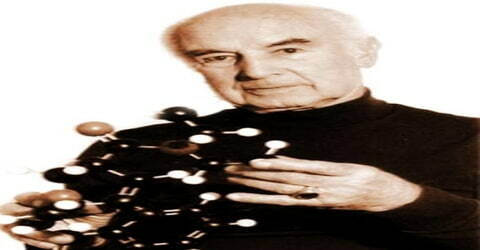 A Swiss chemist who discovered the psychedelic drug lysergic acid diethylamide (LSD), which he first synthesized in 1938 by isolating compounds found in ergot (Claviceps purpurea), a fungus affecting rye, Albert Hofmann was born on 11 January 1906 in Baden, Switzerland, the first of four children to factory toolmaker Adolf Hofmann and his wife Elisabeth (born Elisabeth Schenk). Hofmann was also the first person to isolate, synthesize, and name the principal psychedelic mushroom compounds psilocybin and psilocin. He authored more than 100 scientific articles and numerous books, including LSD: Mein Sorgenkind (LSD: My Problem Child). Hofmann worked at Sandoz Laboratories where he nurtured his research work, and there he made a lot of success working with various plants and converting them into something useful. He became famous when he became the first person to produce lysergic acid diethylamide (LSD). In addition, he was also the first person to taste it and learn about its hallucinogenic effects. He was deeply connected to nature and argued that LSD, besides being useful for psychiatry, could also be used to promote awareness of mankind’s place in nature. However, he was disappointed that his discovery was being carelessly used as a drug for entertainment. Because of his discovery, LSD fans have fondly called him ‘The Father of LSD.’ Besides carrying out his scientific experiments, he also authored numerous books and more than 100 scientific articles. In 2007, he featured in a list of the 100 greatest living geniuses, published by The Telegraph newspaper. A Swiss scientist who was intrigued by nature, Albert Hofmann was born in Baden, Switzerland, on January 11, 1906. He was the eldest of four children. His father was a poor toolmaker in a factory and they lived in a rented apartment. He spent much of his childhood outdoors and grew up with a very deep connection with nature. Owing to his father’s low income, Albert’s godfather paid for his education. When his father became ill, Hofmann obtained a position as a commercial apprentice in concurrence with his studies. At the age of twenty, Hofmann began his chemistry degree at the University of Zürich, finishing three years later, in 1929. His main interest was the chemistry of plants and animals, and he later conducted important research on the chemical structure of the common animal substance chitin, for which he received his doctorate with distinction in 1929. Hofmann had mind-blowing experiences in childhood, wherein nature was changed in magical ways that he didn’t understand. These experiences provoked questions in his mind, and chemistry was the scientific field which allowed him to understand them. Albert Hofmann was married to Anita and the couple had four children. His wife died in 2007 and one of his children also predeceased him. Albert Hofmann became an employee of the pharmaceutical/chemical department of Sandoz Laboratories (now a subsidiary of Novartis), located in Basel as a coworker with Professor Arthur Stoll, founder, and director of the pharmaceutical department. He began studying the medicinal plant Drimia maritima (squill) and the fungus ergot, as part of a program to purify and synthesize active constituents for use as pharmaceuticals. His main contribution was to elucidate the chemical structure of the common nucleus of the Scilla glycosides (an active principal of Mediterranean squill). While researching lysergic acid derivatives, Hofmann first synthesized LSD on 16 November 1938. The main intention of the synthesis was to obtain a respiratory and circulatory stimulant (an analeptic) with no effects on the uterus in analogy to nikethamide (which is also a diethylamide) by introducing this functional group to lysergic acid. Hofmann’s initial discovery was set aside for five years until April 1943, when he returned to his earlier therapeutic research on the compound. After accidentally absorbing a small amount of the synthesized drug, he experienced dreamlike hallucinations. Following his initial experience, Hoffman purposely ingested the drug numerous times, concluding that it could be of significant use in psychiatric treatment. He spent years investigating LSD’s hallucinogenic properties in the belief that the drug would one day be useful in the therapeutic treatment of schizophrenics and other psychiatric patients. Hofmann later discovered 4-Acetoxy-DET (4-acetoxy-N,N-diethyltryptamine, also known as ethacetin, ethylacybin, or 4-AcO-DET) a hallucinogenic tryptamine. He first synthesized 4-AcO-DET in 1958 in the Sandoz lab. Hofmann became director of Sandoz’ natural products department and continued studying hallucinogenic substances found in Mexican mushrooms and other plants used by aboriginal people there. This led to the synthesis of psilocybin, the active agent of many “magic mushrooms.” Hofmann also became interested in the seeds of the Mexican morning glory species Turbina corymbosa, which are called ololiuhqui by natives. He was surprised to find the active compound of ololiuhqui, ergine (LSA, lysergic acid amide) to be closely related to LSD. While disapproving of the casual recreational use that came to define the drug in the 1960s, Hofmann maintained that the drug, when taken under controlled circumstances and with full knowledge of the possible effects, could prove useful in both psychiatric and spiritual contexts, an argument that he conveyed in his 1979 book LSD, mein Sorgenkind (LSD: My Problem Child, 1980). In 1958, Hofmann discovered ‘ethacetin’, which is an ‘intoxicating tryptamine.’ He became director of the natural products department at Sandoz Laboratories. He continued studying hallucinogenic substances found in Mexican mushrooms and other plants. He produced ‘psilocybin’, the active agent of many ‘magic mushrooms.’ He also became interested in the seeds of the Mexican morning glory and found that the active compound ‘ergine’ (LSA, ‘lysergic acid amide’), has a distinct likeness to LSD. Hofmann also produced other important drugs like ‘methergine’, for treating postpartum hemorrhaging, which was the leading cause of death from childbirth. In 1962, Hofmann and his wife Anita Hofmann (née Guanella, sister of Gustav Guanella, an important Swiss inventor) traveled to southern Mexico to search for the plant “Ska Maria Pastora” (Leaves of Mary the Shepherdess), later known as Salvia divinorum. He was able to obtain samples of this plant, but never succeeded in identifying its active compound, which has since been identified as the diterpenoid salvinorin A. In 1963, Hofmann attended the annual convention of the World Academy of Arts and Sciences (WAAS) in Stockholm. Hofmann stayed with Sandoz Laboratories as head of the research department for natural medicines until he retired in 1971. He delivered a speech at the 1996 Worlds of Consciousness Conference in Heidelberg, Germany. Albert Hofmann, interviewed shortly before his hundredth birthday, called LSD “medicine for the soul” and was frustrated by the worldwide prohibition of it. “It was used very successfully for ten years in psychoanalysis,” he said, adding that the drug was misused by the counterculture of the 1960s, and then criticized unfairly by the political establishment of the day. He conceded that it could be dangerous if misused because a relatively high dose of 500 micrograms will have an extremely powerful psychoactive effect, especially if administered to a first-time user without adequate supervision. 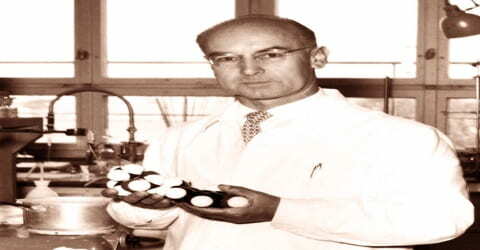 Albert Hofmann, who had become director of natural products at Sandoz Laboratories in 1956, retired in 1971. After retiring from Sandoz in 1971, Hofmann was allowed to take his papers and research home. He gave his archives to the Albert Hofmann Foundation, a Los Angeles-based nonprofit, but the documents mostly sat in storage for years. The archives were sent to the San Francisco area in 2002 to be digitized, but that process was never completed. In 2013, the archives were sent to the Institute of Medical History in Bern, Switzerland, where they are currently being organized. Albert Hofmann received the title D.Sc. (honoris causa) in 1969 from the Swiss Federal Institute of Technology. In 1971 the Swedish Pharmaceutical Association (Sveriges Farmacevtförbund) granted him the Scheele Award, which commemorates the skills and achievements of the Swedish Pomerania chemist and pharmacist Carl Wilhelm Scheele. In a list of the 100 greatest living geniuses published by The Telegraph newspaper in 2007, he shared first place, together with Tim Berners-Lee. 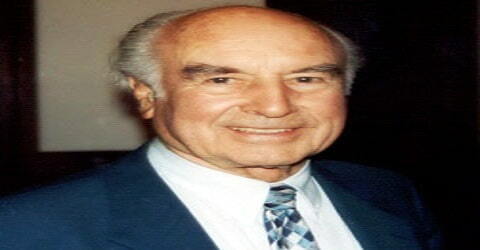 Albert Hofmann died of a heart attack on 29th April 2008, surrounded by several grandchildren and great-grandchildren. He and his wife, Anita, who died in 2007, raised four children. Hofmann was the first person to produce, consume, and know the mind-altering effects of lysergic acid diethylamide (LSD). In 1988 the Albert Hofmann Foundation, an organization advocating the responsible use of hallucinogens, was established in his honour. He contributed to several books, including The Road to Eleusis: Unveiling the Secret of the Mysteries (1978), which speculates that the Eleusinian Mysteries, a series of ancient Greek religious rites, were catalyzed by consumption of hallucinogenic mushrooms; The Botany and Chemistry of Hallucinogens (1973); and Plants of the Gods: Origins of Hallucinogenic Use (1979). Hofmann independently wrote Insight/Outlook (1989), concerning the perception of reality, and the posthumously published Hofmann’s Elixir: LSD and the New Eleusis (2008).